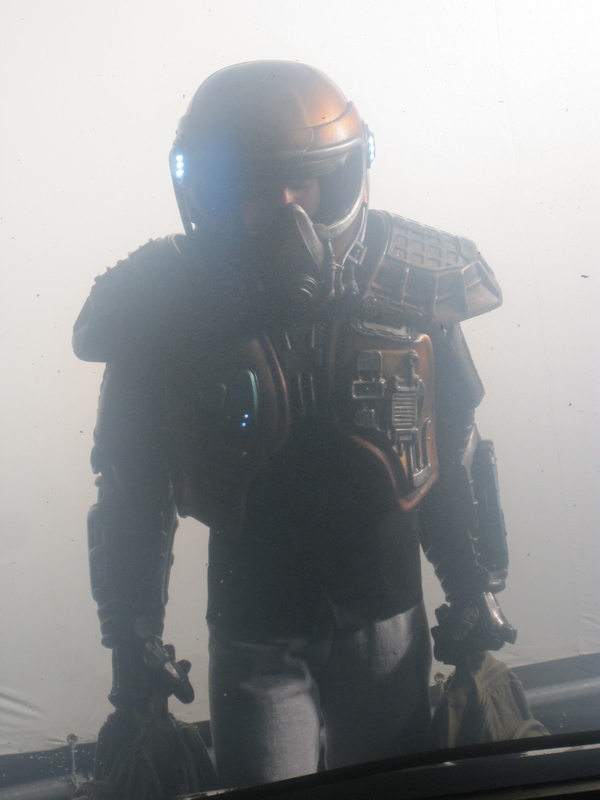 Joseph Mallozzi's Weblog: May 17, 2011: Stargate: Universe Season 2 – The Blockade Bubble Bath Sequence! And Another Mucho Mailbag! 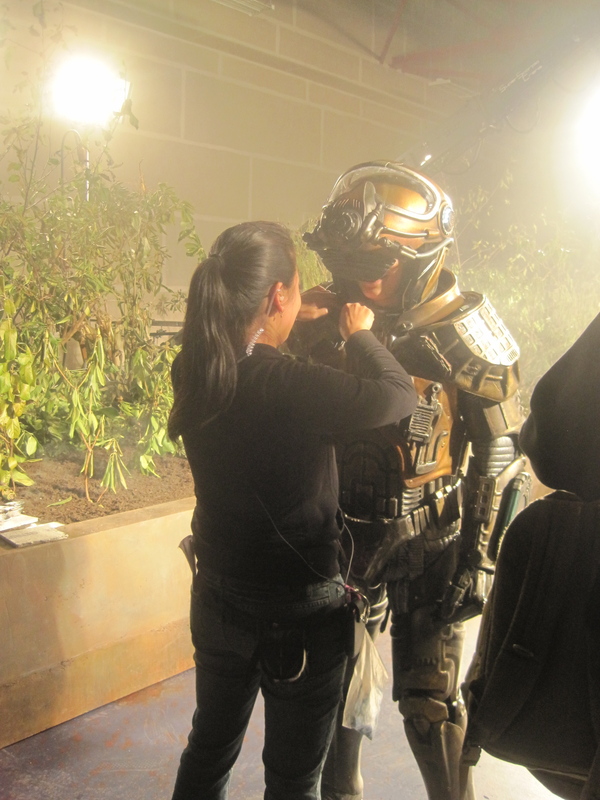 May 17, 2011: Stargate: Universe Season 2 – The Blockade Bubble Bath Sequence! And Another Mucho Mailbag! 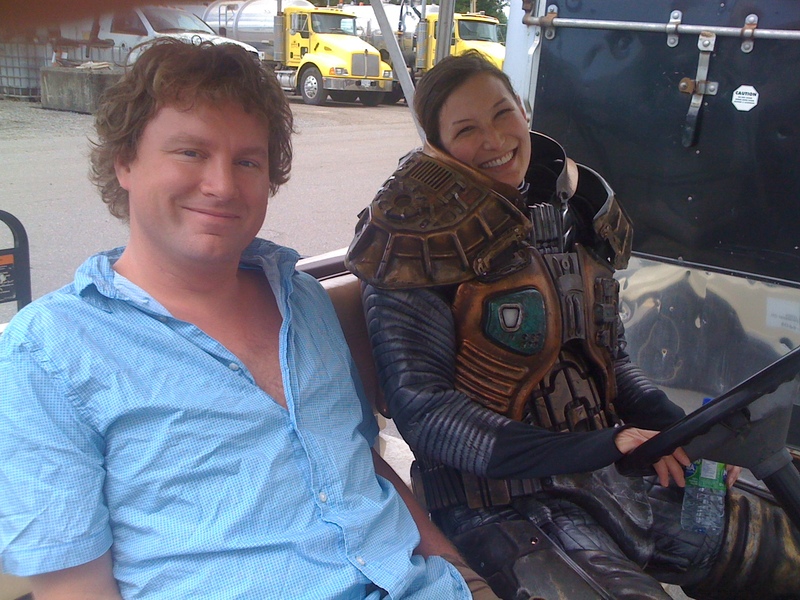 So I was tackling another round of mailbag questions last night when I came across a query that asked how we achieved the Park in Boiling Water sequence for SGU’s penultimate episode, Blockade. 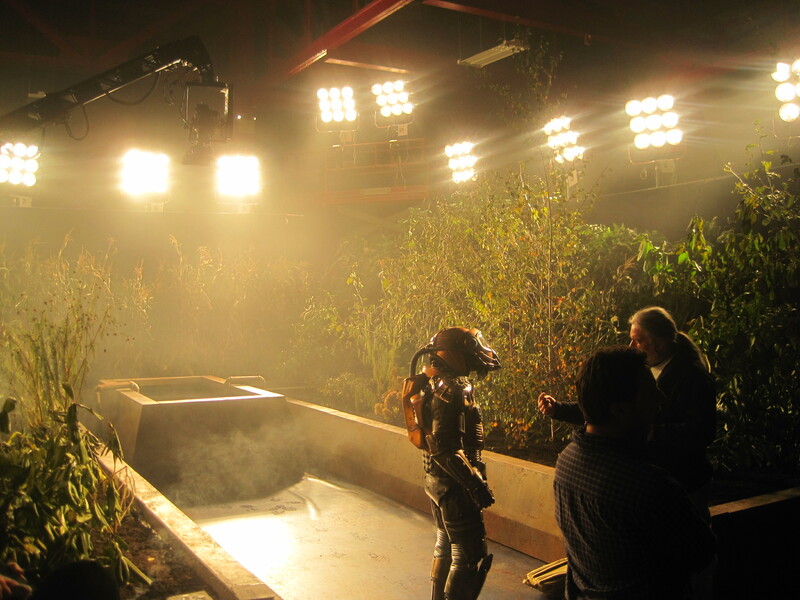 In the sequence, Park, sporting a protecting spacesuit, takes refuge in the hydroponic dome’s collection pool as Destiny plunges into the outer surface of a star. She waits out the wild ride, holding on for dear life as the heat intensifies, the plants burst into flames, and the surrounding water boils away. I was going to direct the curious reader to a past entry in which I’d revealed how it was done – only to realize such an entry didn’t exist! Today’s entry is dedicated to all of the long-time lurkers/first-time posters who have taken the time to leave a comment over the past week. Answer: Thanks for reminding me. See above. Answer: I would have liked to see Atlantis exert its independence, not so much through a willful severing of ties with Earth but more of an agreement that would have seen it acting more like, yes, an independent colony. Having Atlantis more isolated (ie. without the ability to dial Earth or receive resupply runs from Earth ships like the Daedalus) would have certainly helped as well. Answer: I would imagine that certain pieces will be auctioned off and everything else, sadly, destroyed. Answer: Pretty much where they ended up by the end of season 2: fish out of water who had started to develop the skill set and character that made them valuable members of the Destiny crew. Answer: As much as she cared for him, I just never saw Chloe developing feelings for Eli (although the idea of downloading Ginn’s consciousness into Chloe’s body which I outlined in this entry – May 12, 2011: Stargate: Universe, Beyond Season 2! What Might Have Been! – would have been pretty close. Rather – besides the the obvious Young/T.J./Varro triangle – I wanted to explore a possible Chloe/Scott/James angle in season one, but no one else seemed quite as enthusiastic. Answer: If you’re referring to the movie scripts (there are no unfilmed scripts for any of the shows), that is again up to MGM. For what it’s worth, I dropped them an email on the subject a couple of weeks ago. Answer: Nope. It was in the hands of R&D, undergoing extensive testings – like the goa’uld healing device and the time-jumping puddle jumper from Good to Be King – that made it impossible to figure into future stories until research had been completed. Answer: I believe it was an oversight at first and then, mysteriously, intentional. 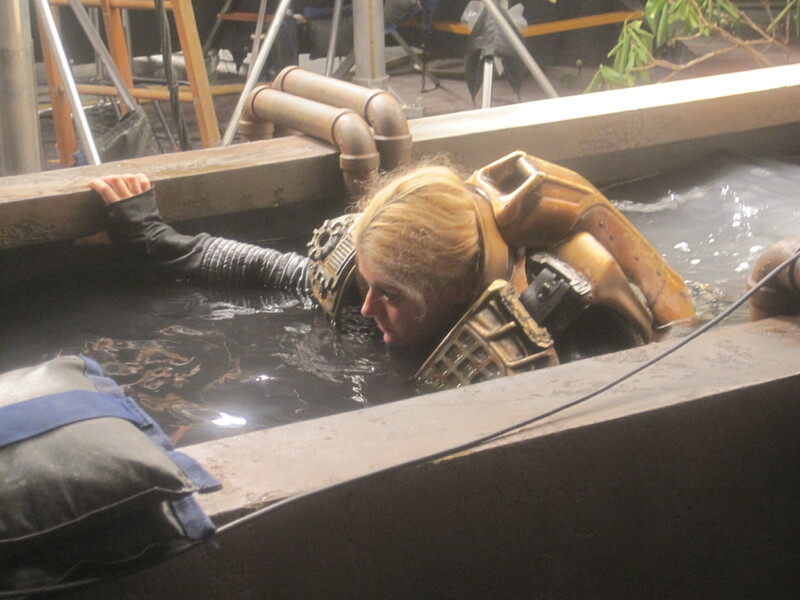 Answer: I’m not sure if she was kidding or not, but Atlantis is the moonbase – as we reveal in Stargate: Extinction. Answer: I’m simply being realistic. As much as I would love to see the franchise come back with a series in the very near future, I don’t think that’s very likely. Similarly, I don’t really see a movie being greenlit either. If I’m wrong (and nothing would make me happier) then it would more than likely be a movie – in which case Brad and Robert, as the series co-creators, should be the guys to write and produce it. Answer: I would imagine he either scavenged it from a dead Traveller or had it given to him by someone. Answer: The technologically advances races of the Pegasus Galaxy were few and far between. Unless they had a way of shielding their technology from wraith detection, they would have presumably all been culled. Answer: No, giving a ship that kind of capability would have totally undermined the enormity of Destiny’s long mission. The only way Earth could have reached Destiny was through the gate. Answer: I suppose it depends on the fan. Given the fact that it’s unlikely we’ll see any new adventures of SG-1, Atlantis, or Universe, then why not consider the books canon if it allows the characters to live on? Answer: Unfortunately, SG-1’s budget couldn’t support a five person team. Answer: What would be the point of having non-aging stasis pods? The whole point of being in stasis is that your body enters a hibernative state that significantly slows down the aging process. Answer: Nope. We have a U.S. network on board (as well as a Canadian, German, and French broadcaster). Answer: I can’t speak for Brad and Robert. I’ve extended an invitation for Brad to visit the blog and do one final fan Q&A. Answer: They certainly are by the studio, but the network doesn’t have anything to gain by increased online sales. Answer: I believe I already answered this question in a previous entry: Greer, Vala, McKay, T.J., and Ronon with Woolsey overseeing the action. Answer: Interesting theory but not one that we considered. Answer: Yes. From now on, let’s refer to them as the Nakai. Answer: Yes, like the military force I mentioned here: May 12, 2011: Stargate: Universe, Beyond Season 2! What Might Have Been! Answer: When we were originally arcing out season 2, we were planning to have Scott take over when Young hit rock bottom. It would have been interesting to see him run assume command. Answer: Not usually but I was once recognized in Montreal, in the dead of night, on an almost deserted street corner while looking for a restaurant. Answer: It was an early model. Answer: Can’t speak for anyone else but I always found Corin incredibly polite, gracious, and easy to. Answer: Three words – talking teddy bears. Answer: Nope. It was assumed he perished aboard the twin Destiny. Answer: That’s the plan. Next up: SG-1’s Season 7! Answer: Official announcement to come! Answer: A scout ship/drone placed there by the Nakai (Blueberry aliens). Answer: Nope. It’s still out there but was a project in development in search of a broadcaster. Answer: Stargate = Teaser + 5 Acts. Answer: Transporter = Teaser + 4 Acts, 12 episode season. Answer: Someone throws out an idea and we proceed to “spin it”, throwing ideas around until we feel we have enough to work with at which point we “break it”, sitting in the room and breaking it down into its story beats, Tease and five acts. Once we’ve boarded it, the writer heads off and works on an outline. Answer: Stargate’s scripts came together quicker than any show I’ve ever worked on. Since Transporter: The Series is a new show, we’re looking at more rewrites than the well-established Stargate. Answer: Presumably the Ancients intended for the gate network to be used by future generations/species, so I don’t think they would have put “safeguards” in place. Answer: As I said, I leave the details of the big end of series reveal to Brad and Robert. Answer: I actually started with the ending of the pilot (first episode), a huge WTF?! moment, then fleshed out the rest of the series from there. When you see it (actually, the end of issue #2 in comic book form), you’ll understand. Previous Article May 16, 2011: Fear Not the Cons! 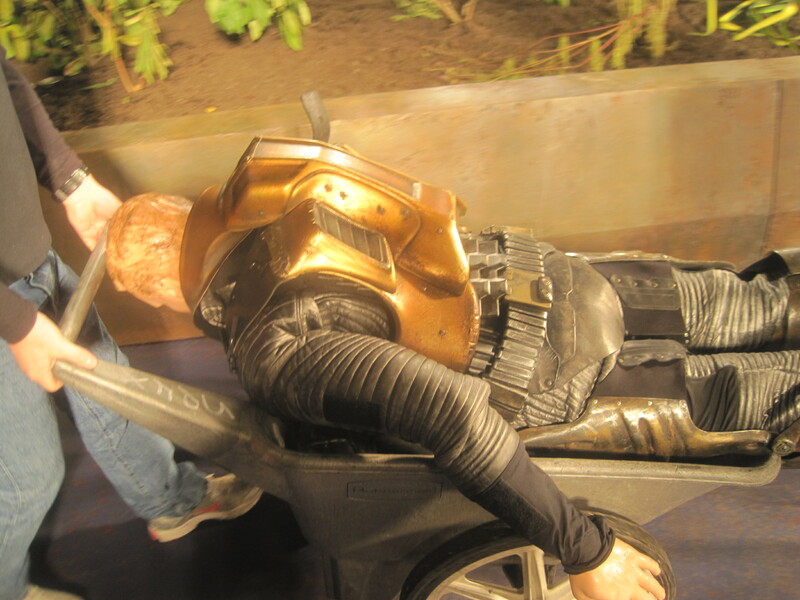 The SG-1 Sixth Season Wrap-Up! Transporter: The Series Pre-Production Update! Next Article May 18, 2011: Alex vs. Mac! Thanks for the pictures and the huge mailbag!!! That is always a treat! The interviews went very well! Next up–the field for the CT job is narrowed from four to two, and hubby will go up for a face-to-face if he is one of the finalists. I will let you all know what happens. @Diane: Thank for the good luck wishes!! Hello, Long-time lurkers/first-time posters who have taken the time to leave a comment over the past week, you seem like a decent bunch. See ya’round. I can’t wait to read your comments about Season 7. I wasn’t looking to getting into another show after the cancellation of SGU, Outsourced and previous disappointments like Studio 60 but I am looking forward to your new show. I was wondering non-scifi what has been some of your favorite television. Nifty that Atlantis eventually becomes a moonbase. Is the moon far enough from earth’s stargate to have its own, or is it too close, and would interfere? In the latter case, how were people travelling from the earth to the moon? Jumper? Asgard beaming? I have the Transporter movies in my Netflix queue to watch in preparation for the new series! as far as i know 1 episode of SGU cost 2.000.000 $ so season 3,4 and 5 would cost 120.000.000 $ ok so far so good, now if i or someone else could be able to join 1.000.000 fans together and everyone would donate 120 $ than MGM or Brad Wright or i dont know who where be able to move on with SGU. I would do it immediately and donation 120 $ if SGU could be continued. so i could need help in spreading the idea but dont know how, do you have a idea? or someone else? a movie, covering all three series, giving ~closure~ to all three series? one, hopefully, *finally* giving closure (aka ‘confirmation’) to sam/jack? You do realize SG-1 had a five-person team in Season 10, right? I can’t imagine the Season 7 budget would have prohibited Jonas from sticking around unless RDA’s salary placed that large of a burden on the production budget. It seems like the show could have benifited from an additional member (Jonas, or someone else) to mix things up and add something to the pot as RDA’s shooting schedule decreased to just a few days on set. Also, at one point in time I remember reading that the producers considered rebranding SG1 to Stargate Command before season 9. Could you talk a little bit about that decision and what might have been different had the change been made? Do you think Stargate Commmand would have gone longer than two seasons (9 & 10) or would it have suffered from the rebranding? Was the idea considered of “adjusting the settings of one of the stasis pods so that it would sustain two people?” That would have solved the one-pod-short problem. I’m thinking that during his time alone, Eli would read the entire owners manual on the pods and discover that there was an option of two-to-a-pod. Just a thought. You writers are weird people. I noticed you were diplomatic about the guy suggesting that maybe all the english speaking races that have been introduced throughout the series were Destiny’s decendants. Except that Destiny only went back in time 2 thousand years and they wouldn’t have reached a point where they could have affected our galaxy for quite some time. Plus, I thought the reason for the prevalance of English was established as the Ancients contact with Earth and colonies forming from earth people who had been taken as slaves by the Goa’uld. @Lisa R> Keeping good thoughts for your husband. @Ponytail: James IS singing with Steven Tyler/Aerosmith on finale night/results show. It will be the highlight of the evening for me. Wish I could take pictures, but they confiscate your cell phones and cameras on the way in. Since my hotel is right across the street, may need to leave it in the room after getting some pictures before I get in, then storm over there to get it after the event to take more pictures. I hear the line to get your stuff back can be very long. Also scheduled to perform is Stevie Nicks (I’m thinking she sings with Lauren), Lady Gaga (pretty sure she sings with Haley), and Jack Black (sings with Casey). I’m looking out to see who else is performing that night. I can’t believe it is just a week away. This time next Tuesday, I’ll be in Los Angeles. I’m being put up in a very nice hotel, too–Marriott LA Live. My friend and I have decided we will sleep on the plane and not sleep any of the time we are in LA. That is, at least, the plan. I’ll be riding on adrenaline; I’ll crash probably when I get home. Just FYI for all Lou Diamond Phillips fans out there in the United States: His movie he made last year, Transparency (in Canada), aka Takedown here in the US and in Europe, is now available for purchase on Amazon. Michael Blundell and crew from Stargate worked on this movie, and the actors from Stargate in this film include: Aaron Pearl, Kendall Cross, Michael Kopsa, Vitaly Kravchenko, Emma Lahana, Jonathan Walker, Anna Galvin, Aleks Panuovic, Dan Payne, and Bruce Crawford. I got to see it when it premiered at the Dallas International Film Festival (and got to meet LDP) in April of 2010. Really good movie. They had a very tight budget, but Michael Blundell and team made it look like more than a million bucks. Wait, Corin was “easy to.” ???! I think fsmn36 was asking why Atlantis’ stasis pods weren’t non-aging when the Destiny that pre-dated it did. If Destiny had non-aging stasis pods, why would they have stasis pods in which you aged millions of years later on Atlantis? Just relaying the question… I personally didn’t realize there had been a difference in type, myself. Must have missed that. Important question, in ‘Enemy at the Gate’ Atlantis landed on Earth. However, we know that each planet only has one stargate. So what kind of problems might occur now that there are two stargates on Earth (the one in the SGC and the one on Atlanis)? Would using both stargates cause some weird time travel again? Thanks for answering my question, Joe. Just echoing what many others have already expressed Joe, thank you so much for taking the time to recap the Stargate seasons and share your unique perspective. I really enjoy reading your insights and the many great questions posted here. That you accomplish this while ramping up a new production is just inspiring. More please? It is both helpful and a comfort to share our thoughts and feelings for the wonderfully drawn characters and story lines from years of Stargate. I’m not yet ready to let it all go, so reminiscing here does help. Gee, what delicious memories. Please do persuade Brad to give us a final Q&A? In Twin Destinies, the Rush from the older ship seemed to be hiding something, especially when Telford confronted him. Did I miss it being explained, or was I misinterpreting it? About the difference in reporting the series of events surrounding the cancellation of the great SGU. Could the difference between how you described them (as I have been reading your blog a while and have no reason to doubt you) and how the SyFy exec described them be attributed to the information you received (probably filtered down maybe with their own spin from Brad and Rob) and the spin the SyFy exec put on things? Obviously nobody would want to make themselves look like the bad guy. I mean, it’s a big difference between SyFy canceling SGA and MGM pulling the plug. Also, if you know, what’s that bs about SGU signing on for 2 seasons only if they reached certain ratings? Well duh! If the show did well in season 1, it’ll get a season 2. Isn’t that pretty much how every other show works? Trying to spin it as they really signed for 2 seasons is kinda pushing it, no? Thanks Joe, appreciate the answer. Also apologies for the awful grammar. When we found the humans in S2, that opend a lot of doors, like, for series end, if you would have known before, could Desteny maybe be destryed, and the crew could have moved to Novus (and it would not be destroyed)? Stargate: NG-1? That is a new series called Stargete New galaxy, could that be a good idea for a 4th series if it would sometime be a new one down the line. The people of Novus is trying to find a way to connect to that far world they only have read about called Earth? Looking trou the galaxy for tech that could help them? And thanks for all years of Stargate! It is sad it has ended, but was 3 great shows!